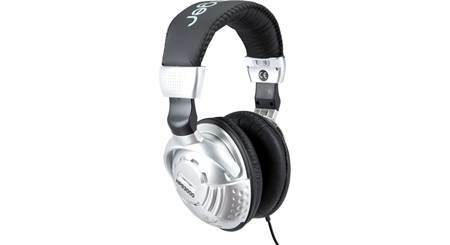 These over-the-ear headphones from Behringer feature a closed-back design that helps keep sound from leaking into the room — great for when you're laying down tracks in the studio. Their rugged design comes backed by a 3-year warranty that's especially impressive when you factor in their down-to-earth price. Thanks for your question. The cord is 6.5 feet. You can find this information on the main product page under "What's in the Box". Hope this helps. 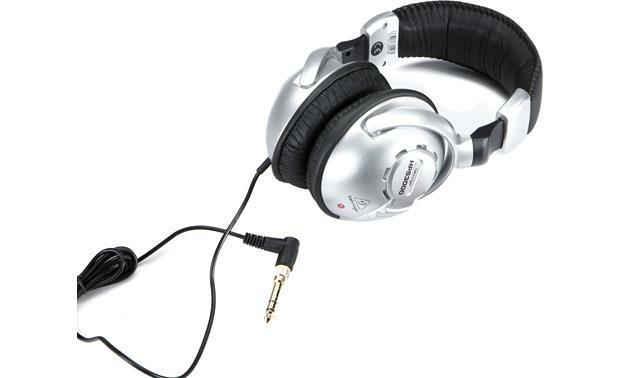 Earcup Width x Height 3.601" x 4.228"
Overview: The Behringer HPS3000 over-ear studio headphones are designed for critical listening in the recording studio or for relaxing with your favorite tunes. 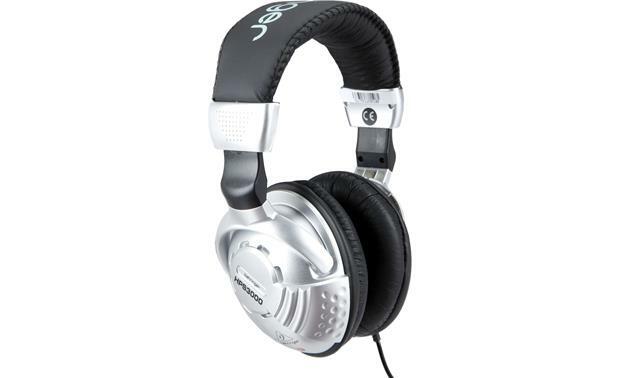 The headphones deliver a wide frequency response with well-defined bass and clear, crisp highs over a wide dynamic range. The HPS3000s have a straight 6.5' oxygen-free copper audio cable with a 3.5mm plug for your portables, and a threaded 1/4" adapter for your home components and mixing console. 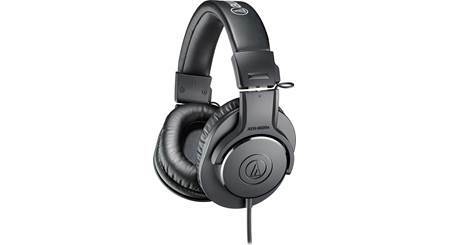 Drivers: The HPS3000 studio headphones feature high-efficiency 40mm cobalt capsules. 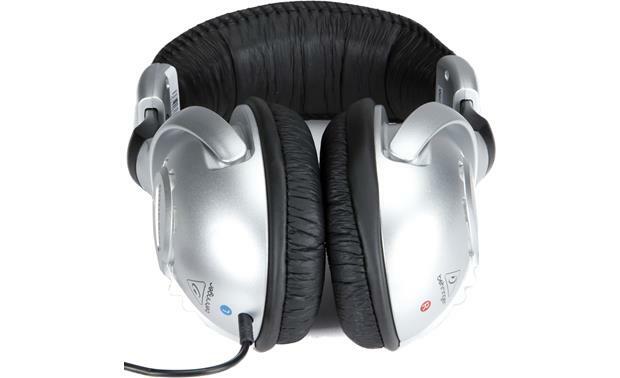 The drivers are installed in oval-shaped ear cups that are optimized for performance and comfort. 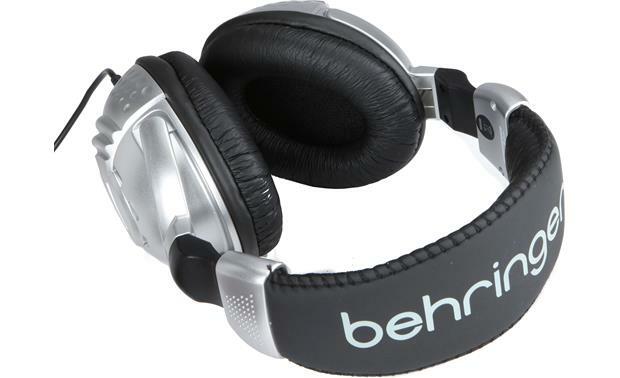 Dimensions: Ear Cups: Width 3.601", Height 4.228", Depth 2.275"
Searches related to the Behringer HPS3000 Closed-back stereo headphones.